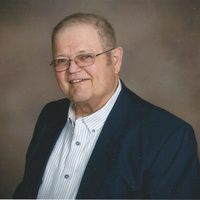 Douglas R. Hageman, 79, of Fargo, ND, formerly of Highmore, passed away Monday, March 18, 2019 at Sanford Broadway Medical Center, Fargo, ND. Funeral Mass will be at 2:30 p.m., Thursday, March 28, 2019 at St. Mary’s Catholic Church, Highmore with Father Paul Josten, celebrant. Visitation will begin at 12:30 p.m. with a rosary beginning at 2:00 p.m. Burial will be at St. Mary's Cemetery, Highmore. Luze Funeral Home of Highmore has been entrusted with Doug’s arrangements. Posted in Obituaries on Friday, March 22, 2019 11:05 am.